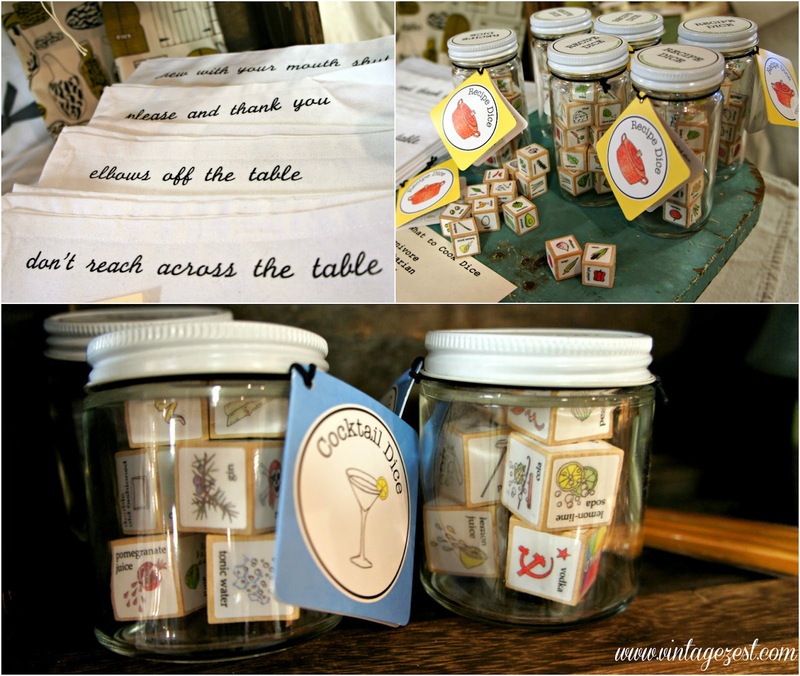 Stacy Wong Handmade feature and GIVEAWAY! ~ Diane's Vintage Zest! 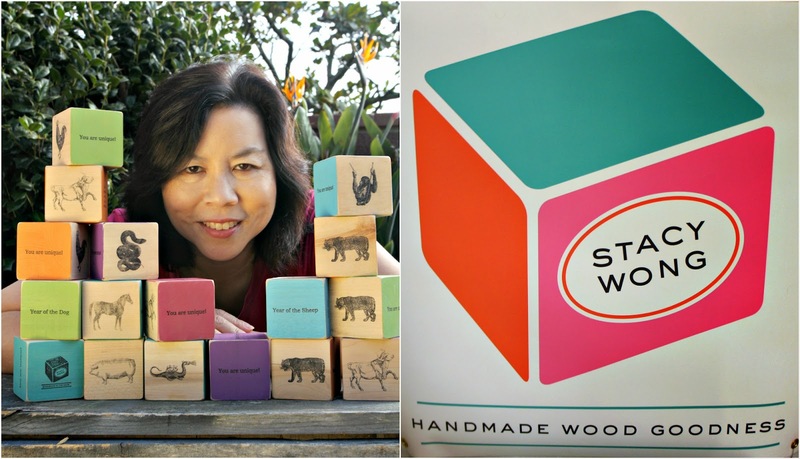 Stacy Wong Handmade feature and GIVEAWAY! 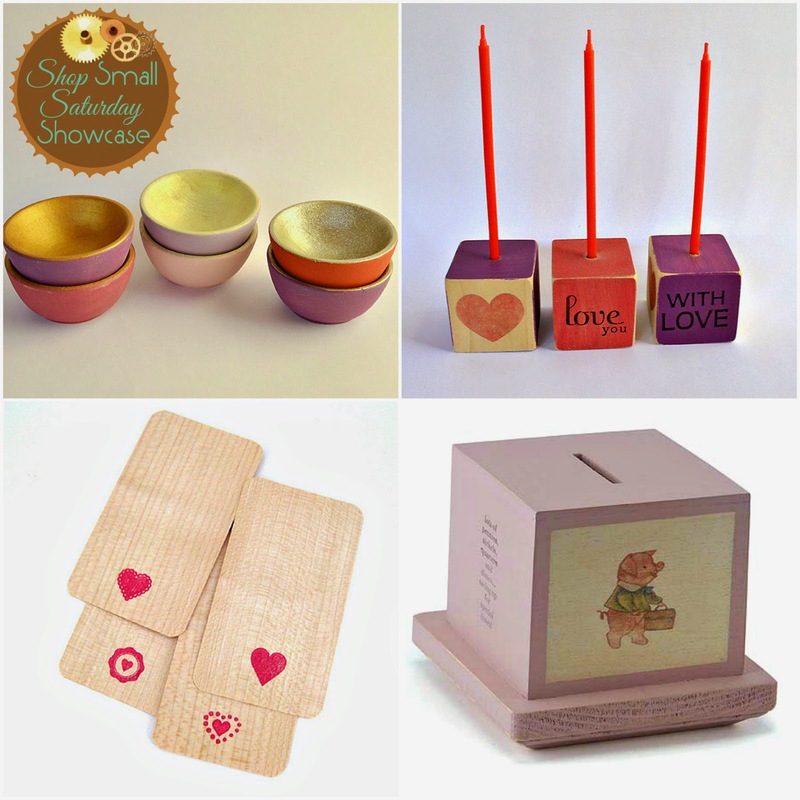 Welcome back to the Shop Small Saturday Showcase! For today's feature, I have the lovely Stacy of Stacy Wong Handmade! 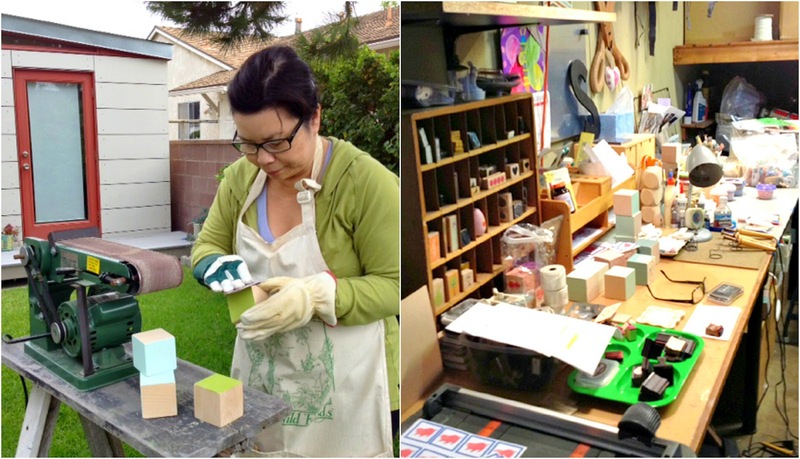 She has so many lovely items in her shop, all with an attention to detail and lovingly handmade by the woman herself! I curated a few items in the collage below, which would be amazing for Valentine's Day, but I think many of her items are perfect for the sweet little girl or boy in your life. In fact, she is giving away one of her sweet Birthday Year Blocks to one of my lucky readers! Check out how to enter at the bottom of the post, but first read on and get ready to enjoy some serious crafted eye candy! Art & creating have always been a part of my life. People say I have a keen eye for the unique and special. I’m also a resourceful creative and a Multi-Tasker Extraordinaire. While I took art classes in high school, I am self-trained and always learning. It's my name – I just couldn’t think of another interesting name! Why did you start making goods for Stacy Wong? 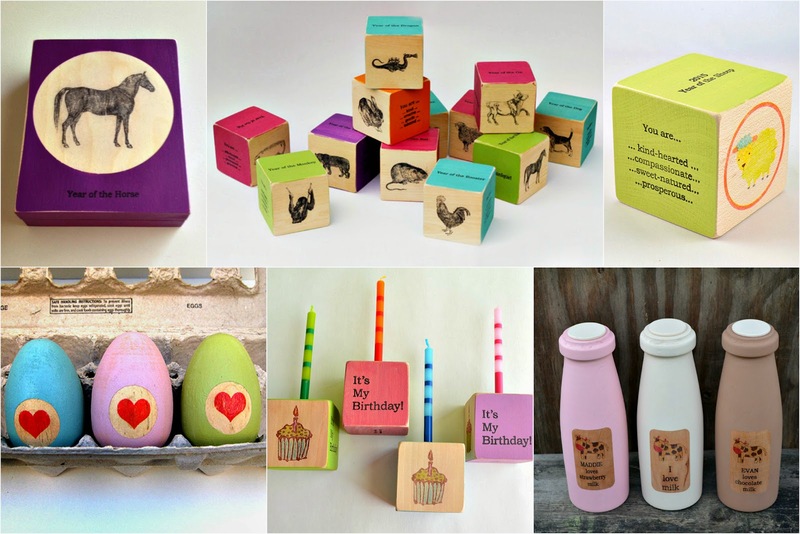 After my boys were born, I started designing and creating baby gifts and products on a very part time basis. Many of these "little works of art" were products I couldn't find in the market for baby gifts and nursery decor. I opened an Etsy shop to sell my products directly to customers. Although the growth was slow (due to my working a fulltime career in Human Resources), I managed to continue to juggle my family, creative work and HR for many years. My favorite product is one of my newest – animal puzzle blocks. They are a set of 2, solid wood blocks which have images of the top half and bottom half of four domestic animals (bird, cat, dog, and rabbit). Little hands match the blocks to form each animal image. The word of each animal is on the block so kiddos can learn and even spell the animal’s name. 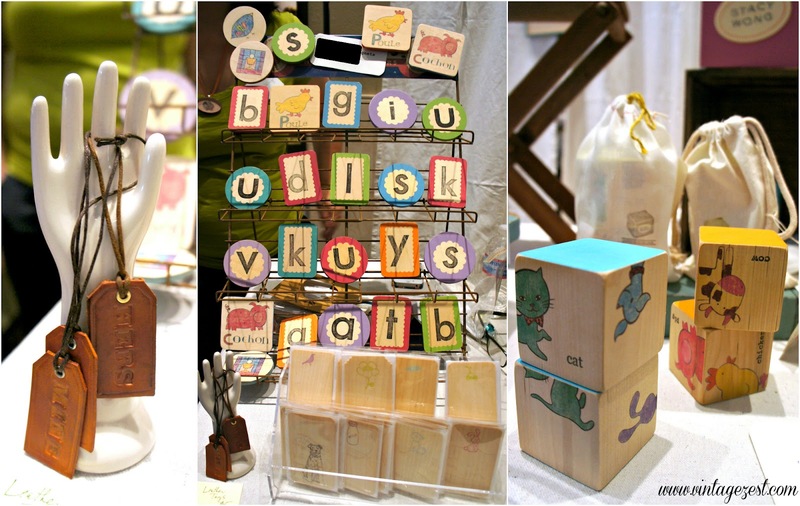 The blocks are very kid friendly – they are 2 ½” blocks for easy grasping, and I use water-based inks and soy paint. They are also not laminated or varnished in any way. My most popular product is the birth year block and it is a modern take on the animals of the Chinese Zodiac. There are 12 animals in the Chinese Zodiac and every year welcomes a new animal. You can see if your baby grows into the characteristics listed for each animal. I designed them as a unique keepsake for new babies and people love to give them as shower gifts or to welcome a new baby. Personally, I think people like to give a gift that will be cherished and kept as a keepsake. Babies grow out of clothes and they are so disposable these days. My family and my two boys give me lots of inspiration and encouragement for my work. They are extremely supportive of my business and creative endeavors. I also like to search pinterest for inspiration and love to read kids, home décor, and diy blogs. I started designing and creating baby gifts and products (wood piggy banks, tooth fairy boxes) to fill the gap of things I wanted for my kids’ nursery and rooms when products like that just didn’t exist or were in traditional forms (such as ceramic piggy banks) which didn’t have a modern and updated look. Many of my creations were products I couldn't find in the market. Because almost all of my products are made from wood, there is physical labor involved in creating almost every product. I actually use woodworking tools to sand the edges of each hardwood block and physically sand each side of the block to ensure it’s smooth and perfect before painting. Yes, I offer personalization for all birth blocks. People love to personalize the blocks (up to 3 lines of text), as a special keepsake momento for a baby. These blocks take about 2 weeks to complete and I ship them throughout the US and many countries in the world including Australia, Canada, Great Britain, and Germany.